It is nearly impossible to live a germ-free life although you can minimize their existence. Carpets harbor germs, dirt, and bacteria due to spills, heavy traffic and being exposed to disease-causing microorganisms. However, if they are well maintained and cleaned often, you can lower bacterial levels thus reducing the possibility of either you or your loved one getting sick. Germs are tough to remove because you can really see them. In addition, the germs in a carpet vary from one home to the other depending on the level of spills, traffic, the type of occupants and the substances being spilt on the carpet. Germs on the carpet can range from pollen-grains to dust mites and bacteria which can cause allergic reactions, diseases, asthma or even irritate the skin or your respiratory system. 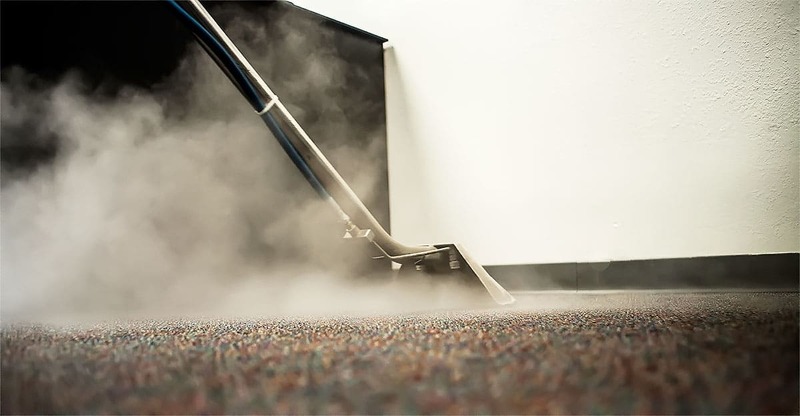 Steam clean your carpet this is the most effective carpet cleaning method because it relies on the use of a machine that dispenses hot water at a very high pressure. 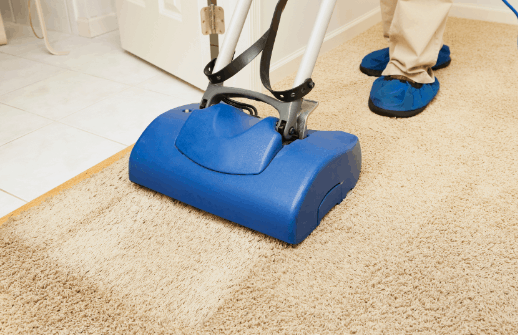 The use of hot water and high pressure ensures that the deep parts of your carpet are reached and cleaned thoroughly. The hot water will kill all the germs, bacteria and small organisms living on your carpet. You can either do it yourself by renting a steam cleaner or hire a professional carpet cleaner to do it for you at a reasonable price. Use carpet disinfectants – there are numerous carpet disinfectants that you can use to kill germs on your carpet. Alternatively, you can make carpet disinfectants at home by mixing household ammonia with water. You need to research and read the directions on how to do it for it to be effective. Remember, you need to research the disinfectants you are using to avoid damaging your carpet flooring. After applying the disinfectant on the carpet, you are supposed to leave it for a few minutes before extracting it using a vacuum cleaner. If you suspect that your carpet has germs, you can seek professional advice from an expert instead of DIY. Alternatively, if it is your first time and you’ve little or no expertise on how to remove germs, you can hire an expert and keenly follow what he is doing so that you can remove the germs yourself in future. Place the ice bag on the chewing gum in order to freeze it. Take some few minutes on this to ease of the gum. Have a knife, preferably a butter knife. This is because its blunt and won’t damage your carpet. Use the knife to scrape the frozen gum now. After the scrap now wash your carpet off any dirt sports that did remain from the gum. Vinegar is your ultimate clean agent. Have a solution of white vinegar in a container and make a soapy solution of it. A preferable solution of of 4 teaspoons and 1 cup of water Is recommended. Dip a rag in the solution then carefully and gently rub the rag on the on the spots to which the gum has stack. This may take about 15-20 minutes to make the gum saturated with the vinegar solution. The care is important as you do not want to mess other carpet areas. After the gum has eased off and you have removed it, use now a dry thick towel to dry the area. Avoid contact with this part till you are completely sure its dry of the soapy solution. You might be wondering how this delicacy can be used. Yes, it can serve you right. The butter has natural oils that do work by dissolving the gum on carpets or fabrics. Take a bit of peanut butter using your gloved fingers and apply and rub it on the chewing gum. Do not do it once but a couple of times. After applying gently work the butter on the gum to ease it of the use a butter or dinner knife to scrape of the gum from the carpet till the gum is off. . Hot water extraction is a cleaning procedure that is performed to remove stains in carpets. It is crucial for professionals to consider using the method in dealing with hard stains that are stuck on the fabrics. The hot water is used to drive to the fabrics at a high pressure that will make the carpet appear sparkling clean to the satisfaction of the owner. Hot water is used to remove the troublesome stains that you view impossible to come out from the carpet. Proper evaluation of the fabrics makes it possible to determine the water temperature to use in cleaning. Professionals are required to use cleaning detergents and hot water to get rid of carpet dirt. The temperatures used in hot water cleaning ensure that there is no shrinking of the carpet through the cleaning process. Professional cleaners are required to use hot water extractors which are eco-friendly in carpet cleaning. The hot water extractors have powerful vacuums and can pump hot water at a high force to remove stains. The technique is suitable as the carpet dries fast for the client to use. Hot water extraction is a cleaning method that is ideal for carpets that have been damaged by mold. The hot water can remove the mold leaving the carpet fabrics strong and clean. The hot water extractor has a high powered vacuum which removes water to deal with different types of dirt and stains. Hot water is used to remove pests in the carpets which makes home living uncomfortable. The pest infestations are eliminated by hot water extending the life of the carpets. The pests eliminated by hot water include fleas, mite among others. Therefore it is recommendable for a homeowner to use hot water extraction technique to deal with carpet stains and dirt. Carpet cleaning is used to beautify your carpet for an appealing house interior. A business is required to have strategies that will provide an excellent expression to the targeted consumers. Commercial carpet cleaning is used in making the business appear sparkling clean to attract many clients. It is important for a business to use professionals to get quality commercial carpet cleaning. 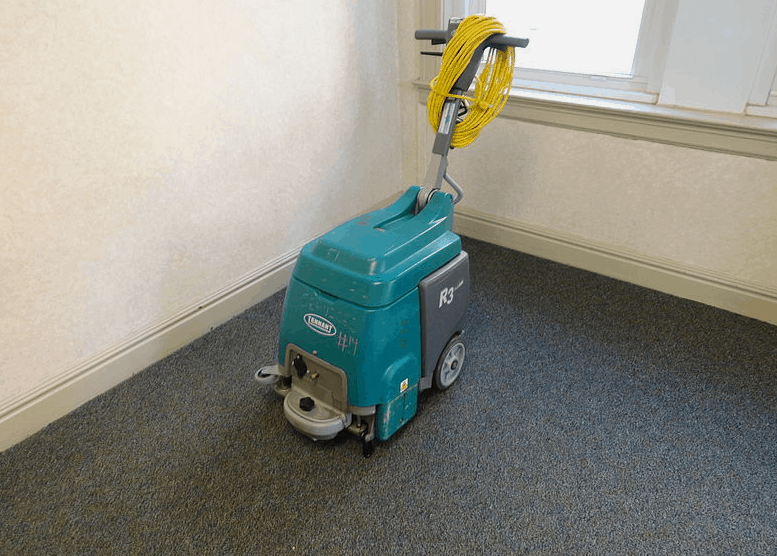 Dirty carpets ruin the reputation of a business requiring removing stains using professional carpet cleaners. The professionals can eliminate the coffee spills, grease, color stains, and other dirt on the carpet. The primary focus is ensuring that the carpet appears bright to the business owner and visitors. Commercial carpet cleaning such as Brilliance Cleaning is used to increase the life of your carpet which is cost effective for a business. The management is required to focus on reduced expenses in replacing office accessories and equipment. Regular cleaning of carpets ensures that there are reduced expenses by eliminating cases of carpet replacing after a short period. Commercial carpet cleaning is needed by a business to have a good indoor environment that will motivate employees to work. Stains and dirt destroy the indoor environment of the office reducing the performance level of business. The visitors and clients are also happy to visit an office with a healthy indoor environment. The cleaning tools and chemical used in commercial carpet cleaning ensure that there is minimal interruption of the business. It is crucial for a business to use professional carpet cleaning service as it is fast to dry thus convenient for office users and consumers. Proper evaluation of fabrics is done by the professionals in ensuring that the business environment is healthy. The consumers and employees should stay in a clean environment for increased performance of the business. Commercial carpet cleaning is recommended for businesses as the technique uses less water and easy to dry. Professional carpet cleaners are used to help a business deal with dirt for a smooth flow of operations in the market. Carpets should always be kept sparkling clean. This is because they get stains, dirt and allergens very easy and you certainly do not want your house in such a mess. The carpet cleaner is your ultimate guide to this. The carpet cleaner is also known as carpet extractor shampooer. For a clean wash the pump will generate pressure to the water that washes the carpet. The pump is certainly one key component of the carpet cleaner that should always be kept working. Through modern technology, the pump has been made to produce less noise than before. As the pump injects water to the carpet now the vacuum does the opposite. It extracts water from the carpet as well as the dirt and allergens on it and empties this in an extraction tank inside the machine. The vacuum uses motors for the drive. The heating unit has been built well with heating components to heat the water inside the cleaner. It heats rinse water to temperatures up to 210 degrees Fahrenheit. This is where the rinse water is held in order not to keep pouring water on the carpet manually. Rug Doctor Mighty Pro X3 Pet Pack. Bissell Deep Clean Deluxe Pet. Bissell Big Green Deep Cleaning Machine. Make sure there is no furniture on the carpet first in order to have an extensive clean. Read the instructions on the carpet cleaner manual to know what detergents to use. After you know properly and with the right amount put the detergent inside and close. If your home is not very large there are several ways to make the rooms look more spacious. The advantages of doing so are mainly enhanced lifestyle as you won’t feel cramped up, or that the walls are closing in on you. And you won’t feel at a disadvantage when friends or relatives with larger homes come to visit. Of course we all know that the latter should not matter, but we are all human and so it does – at least for many people. One way to make rooms look larger is to keep furniture to a minimum. Don’t clutter up the room with small items of furniture in every corner. Too many occasional tables filled with photographs, figurines or flowers will eat up your space. Even too many pictures on the walls will make them tend to close in on you. Toy or craft clutter will also make a room look smaller as well as crowded and messy. If you have kids with lots of toys or are a crafter, keep tubs handy to put all the stuff into when it is not being used. Even papers and magazines can spread out over the sofa and floor if you are not careful and they too, cause a room to look smaller. Carpets are a popular floor covering due to the noise insulation and the warmth they provide in the home, not to mention a soft landing for toddlers learning to walk. But just like other floor surfaces they get dirty and need to be cleaned. The trouble is that dirt and dust that can easily be seen on the hard floor surface is hidden within the carpet fibres, so it looks cleaner, meaning the carpet may not get cleaned as often as it should. Having a professional steam clean the carpet is the best way to get it properly clean as the steam penetrates all the carpet fibres and lifts the dirt out of them. Any moisture left behind is sucked up by the cleaning equipment so the carpet ends up being much cleaner and it can dry out quickly. Most experts recommend this be done on an annual basis, but much depends on your lifestyle and climate. There is an increasing number of cleaning businesses setting-up misleading web sites and advertising which on the surface appear to offer independent and unbiased advice to consumers about services such as carpet cleaning, upholstery cleaning, tile cleaning, rug cleaning, floor cleaning, steam cleaning, etc.